The directions were complex, typical rural directions: follow this road; go up this hill; make a right, then go a ways and make a left. Look for the long drive with such and such a fence..
My driver understood them perfectly, and we arrived at the correct place. The collector had a nice display, similar to many I have seen in the United States. There were deer rifles, shotguns, and a .22. There was a reloading bench and empty cases. I asked if I could take pictures. No problem, said the collector. Knowing a bit about Donald Eykamp’s case, I was not so certain. The collector was adamant. His set-up had been approved by the police. There was nothing to worry about. Donald Eycamp’s case was a rare exception. To my untrained eye, there were a number of “gray” areas. The fact that I could see several firearms on display was the most obvious. We talked about guns, and legislation, and hunting. The collector was a strong supporter of the existing system. He saw no practical use for pistols. He had never been interested in them. It was clear he was an accomplished marksman. The next day, Donald and I were performing some chores for the Eykamp farm. A part was needed for a critical piece of machinery. As we drove to get it, I expressed misgivings about publishing an article about the collector. It seemed far too risky. Why put an innocent man at risk for what was a plain Jane story of gun ownership? A couple of hours later, we arrived back at the farm. A phone was in the hands of one of the Eykamps. I was called over. Had I published the story? No. The Collector and his wife had thought it over. No, please do not publish the story, they pleaded. Her voice was frightened. Please do not publish any pictures, any names, or any thing that might identify where I had been and who I had talked to. It was simply too risky. Having come to the same conclusion, I attempted to reassure them. I suspect they are anxiously wondering if this Yank can be trusted. Later, I visited a local gun store. This one, the first Australian gun store I visited, reminded me of gun stores I have seen in large urban centers. The name was non-descript, and had nothing relating to guns about it. No signage indicated anything to do with guns. The shop was part of another building, with parking in the back. Once parked you approached a formidable door with a buzzer and an intercom. To enter, you buzzed the shop, and stated your name and purpose. I had a local customer with me for an introduction, so we entered without a problem. This is in rural Australia, which has a crime rate similar to Vermont; which is to say, almost none. The owner was clear: he did not wish to be photographed. Australians on the Internet tell me there is no problem having guns in Australia. The local police are not bad blokes, and inspections are not common. But when they have time to think of potential consequences, the fear becomes apparent. Many of these gun owners are prosperous. They have a tremendous amount to lose, not just in money, but in reputation, and in lifelong heirlooms and treasured hunting guns. I wasn’t too surprised the collector and his wife had second thoughts about featuring him in a story made public to half the world. It was not safe. The Australian police forces are structured differently than police in the United States. Most police functions are done by state police. These police may view a posting to rural Australia as a punishment. This means new and young police officers may not have strong ties to the community that they police. It is these officers who are most likely to find irregularities in gray areas of the law. A large “bust” with the confiscation of an “arsenal” could be a ticket to a more desired assignment in a large city. Crime has generally been low in Australia. Several studies have shown that the gun laws made no difference in the Australian crime rates. The “crimes” committed by legal gun owners in Australia are so rare as to be nearly undetectable. But the purpose of the gun law in Australia is not to reduce crime. It is to reduce the number of gun owners. The number of legal Australian guns has increased, once people became used to the byzantine twists and requirements of the strict Australian laws put in place since 1996. Those who want a disarmed Australia say that is proof the gun laws are not strong enough. 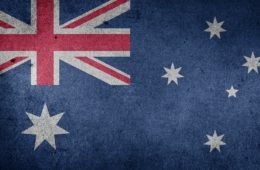 Australian gun owners have good reason to fear strict enforcement of their laws. It is far too easy to violate them, even with all the common sense and good intentions that can be garnered in rural Australia.